It's a new month and it's crazy! I feel like I just created my June set-up and here it is - July - we're over halfway through the year and it's unbelievable. Anyway, this is my first time doing a Bullet Journal set-up on my blog and it's about time; I've been doing Bullet Journaling since May of last year and I've been completely obsessed the whole time. As a preface, I take a lot of inspiration from Pinterest and Youtube. So let's jump in. My first spread is my calendar, general task list, and goals & thoughts for the month. I like doing a more Bullet Journal system traditional calendar in a list format, partly because I like the way it looks and partly because I cannot manage to draw a two-page traditional calendar. So I have all the important dates like birthdays, paydays, holidays, and when bills are due. On the right-hand page, I have a section for general tasks that need to be done during the month but not on any specific day and then a section for any goals for the months or random thoughts that I need to write down. Then I have my habit tracker and my thankful for page. Although I rarely have a successful habit tracker, I still like having it and doing it. The thankful page provides a nice place to write anything I'm thankful for or quick memories. Now starts the random trackers. To be honest, these don't really have much true purpose. I create these and do them mainly to have stuff to do in my journal. I'm not super creative so unless I have a lot of trackers, the only thing I have to do is make my to-do list. 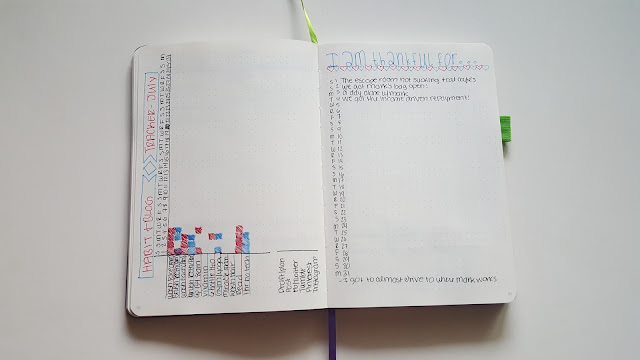 I love doing things in my Bullet Journal and these trackers gives me more things to do in it and it makes me happy. First, my health tracker. Every day I rate how my mood was, how much sleep I got, if I exercised and the type, my energy levels, and then I write in the air quality for the day since the air quality in Seoul can be very terrible. Next, is my cleaning tracker. I like being able to cross things off in multiple places. So this has my weekly cleaning tasks separated by room. I found that I like outlining what room I'm doing on certain days since my husband doesn't work a typical 9-5 Monday-Friday shift and I do any big cleaning on days he works. It helps and it's nice to see when things have been cleaned. Lastly, I have our budget tracker. I write our income on the top of the page then write all the transactions we do throughout the month. I guess we do a sort of "envelope" system without actually taking out the cash. So we have categories like food, gas, and spending money. I write where we spent it, the category, the amount spent, the account balance, and the category balance. It's nice to see where money is going and we have been able to see where we randomly blow money *cough cough* the Post/Base Exchange. 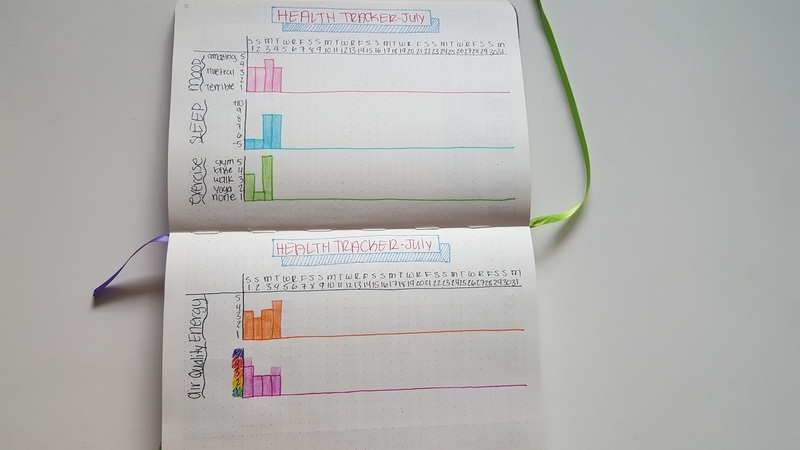 I plan on doing separate posts for the different trackers and how we do our budget. 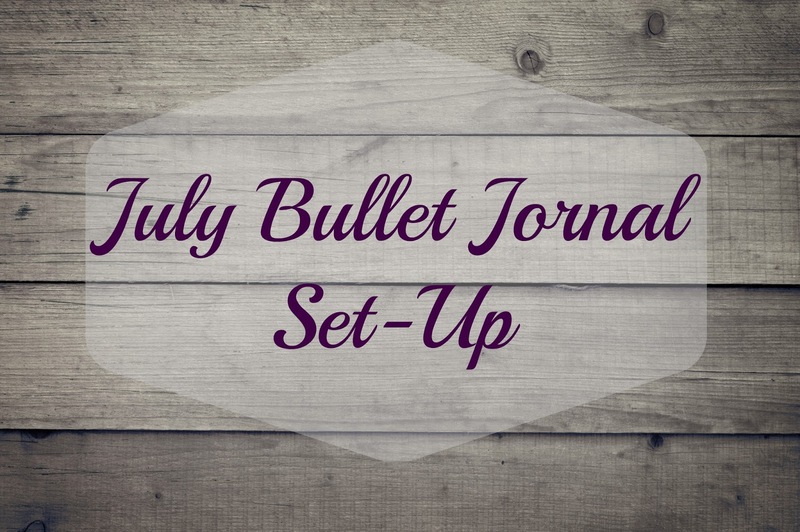 If you want to know more about bullet journaling check out Ryder Carroll's original idea here and a good source of more creative Bullet Journaling from Kara at Boho Berry here. Goodness you're organised. I have a little calendar with me all the time but I'm clearly not using it to the full capacity. I envy your skills! You should totally give it a shot one day. 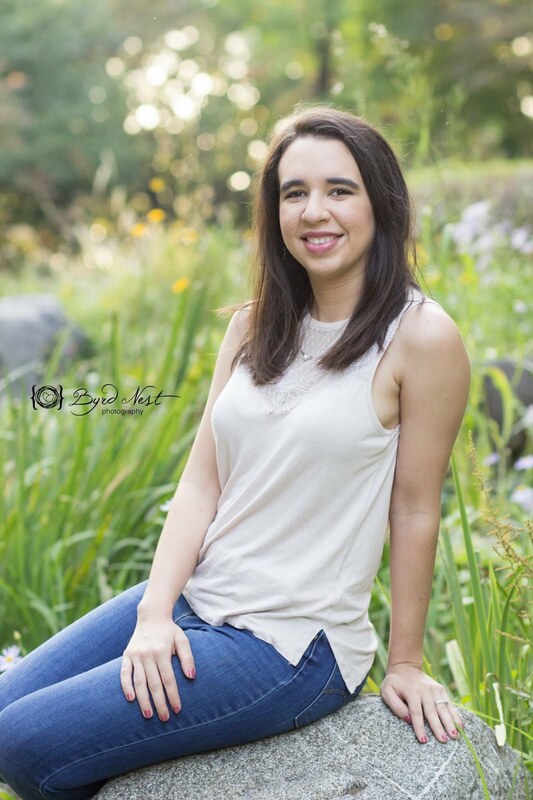 I began with a "why not" attitude and quickly became obssessed! Thank you! The budget took a lot of time to perfect. 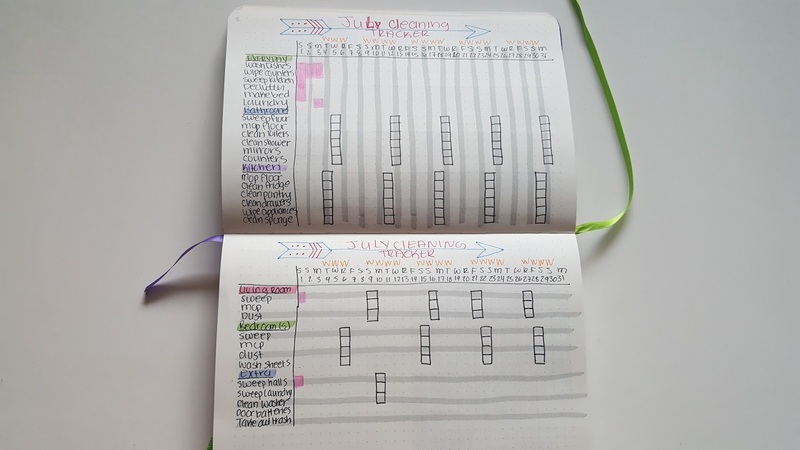 I have never done a bullet journal before but I really like the idea behind it and should really look into having one. It doesn't have to take a lot of time, you should give it a shot! You are super organised! I definitely need a budget tracker, I'm hopeless with money. Thank you! We sometimes still are too haha, but it at the very least allows us to see where we're blowing our money lol. I love it! You are so creative. :-) I have tried bullet journaling, but I am such a perfectionist that it has never worked for me! I get frustrated if I make a mistake in my journal. Sigh. I really need to give it another go! Thank you :) I'm forever making mistakes. 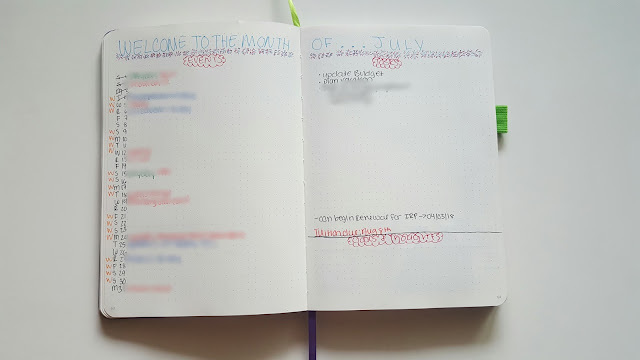 This is now the third month in a row that I have written the wrong month on one of my trackers and have skipped the 20th day when numbering my days lol. You should really try again and embrace the mistakes! fun!! I used to bullet journal and loved it! You have a great set up going! You are so organised! I love keeping a diary to plan things but this is much better! I've never seen anyone so organized! One of my favorite things to do at the end of the month is Thankful for page. It makes me more inspired and genuinely happy. I've definitely found that my mood has gotten better with my gratitude page, it's a wonderful thing to do. The year has definitely been flying by! And love your setup! 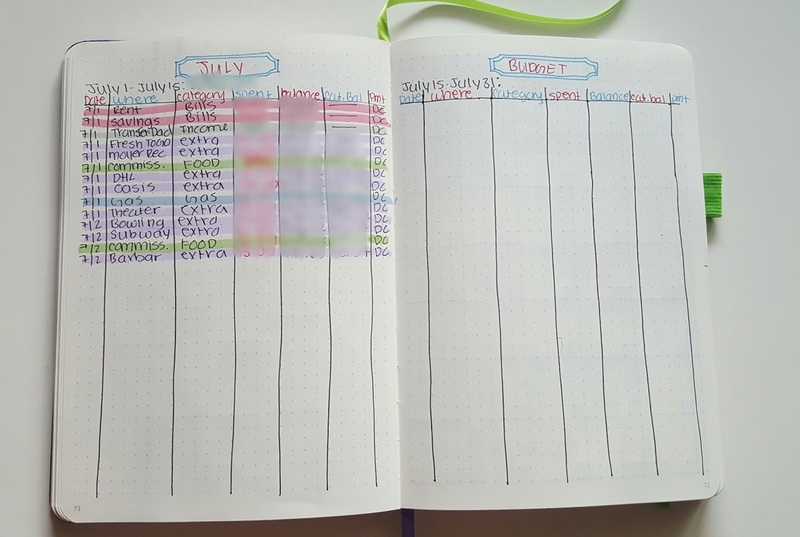 I also do a lot of trackers in mine since I'm also not super creative haha. Occasionally I'll throw in some doodles or washi tape, but that's as fancy as I get! Thank you! That's exactly why I track so much, I'm not creative so I don't do much art in it. I love using washi tape in it though! I really want to try bullet journalling. It makes my little hyper-organized heart swoon! Oh I LOVE this!!! Your set up is wonderful!